Amal Kumar Das is M.A. (Econ), MBA and Diploma in Training and Development. He has three decades of industry experience including 15 years of experience in Talent Acquisition. He specializes in Human Resources in corporate in the domains of Engineering Projects and Infrastructure (EPI) Telecom, Life Sciences, Financial Services and FMCG. He has worked in world class organisations such as Jindal Organization, Shalimar Paints, CHR Global, Eicher and UTI in strategic and operational HR, Talent Acquisition and Assessment areas. In the field of talent acquisition, Amal in his career has been involved in strategic hires in groups like: Jindal Group, Essar Oil Ltd., Leela Group, Reliance Private Equity, Tata Steel, Idea Cellular, L&T among others. 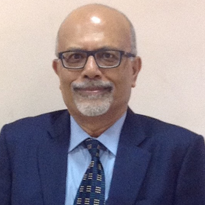 He has successfully assessed competencies, leadership styles in organizations such as Jindal Group, Kalpataru Group, Sharaf Group (Dubai), Peerless Group, Nagode Group (Africa). Amal has developed business partners in Selection Execution, Leadership Consulting, Assessments. 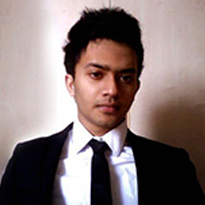 Abir Das C.M.O of Good People Consulting LLP specializes in digital aspects of marketing. He has graduated from Imperial College London in MSc. Strategic Marketing. In his undergraduate course, he obtained first class in Economics and Business Studies at The University of Manchester. In the field of digital marketing he has worked on projects which involved campaign release for Zara; new product launch for “Zoey”, a speech recognition software; brand audit for Marks and Spencer; carving verticals and market expansion for AppsBuilder. Startup entrepreneur of GYMX brand Abir contributes to marketing/product initiatives of Good People Consulting LLP.